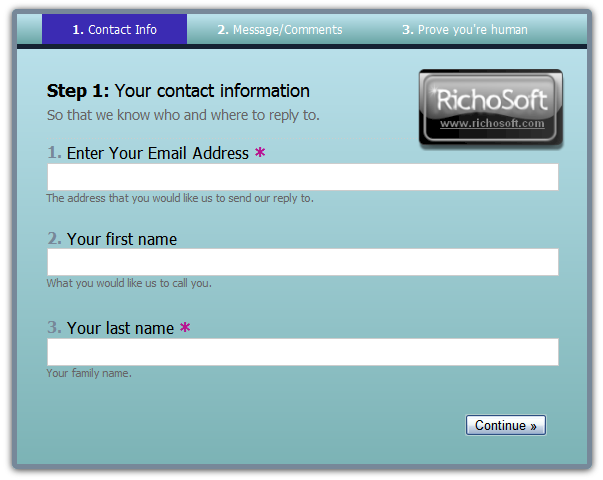 Here are a variety of contact forms that pop-out, pop-up, slide-out slide or are static, to enhance your site. Some come with WebPlus WPP’s with samples attached and others simply have the code to use on your site. 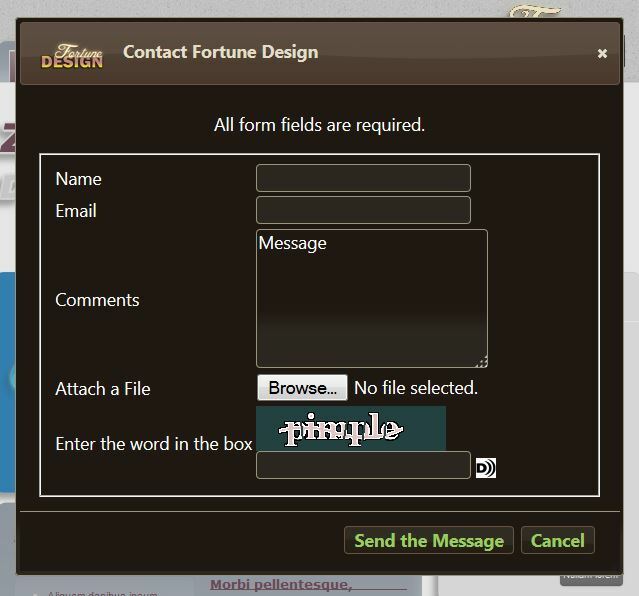 Most of the forms are detailed in full on my Fortune Design Site and the links will take you directly too them. This form attaches a button to the side of the browser (not the page). When the user clicks the button a contact form pops out. 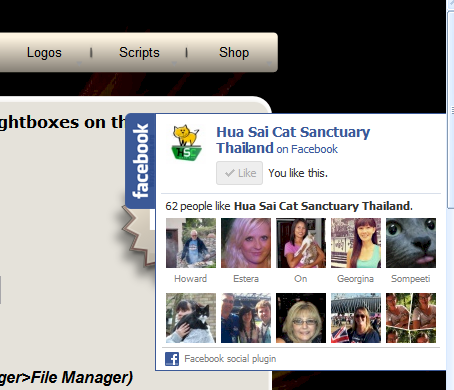 Works with WebPlus Light Boxes on the same page. 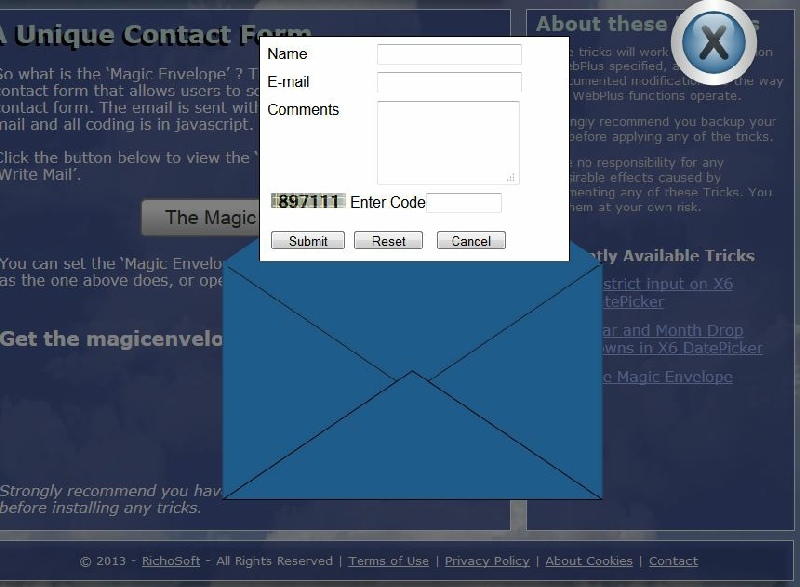 This form slides through the various sections of a contact form without leaving the page, except for the thank you page. This form attaches two buttons to the side of the browser (not the page). 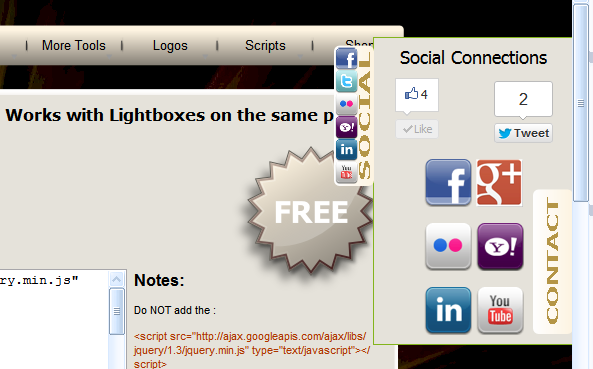 When the user clicks a button either a box of social buttons or a contact form pops out. This form attaches a button to the side of the browser (not the page). When the user clicks the button a facebook Like Button pops out together with pictures of the lat ten people to like the fan page. Easy to Install. Works with WebPlus Light Boxes on the same page. Fully customisable. NOTE: Only works with Fan Pages not normal facebook pages. 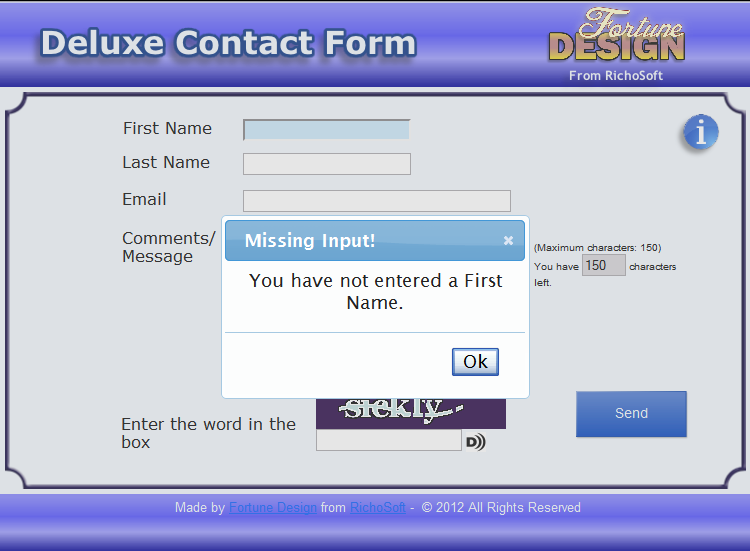 This form uses custom validation. Uses Custom jQuery UI to generate message boxes, highlights incomplete required fields, validates email addresses and counts and restricts legth ofvtext in the comments box. 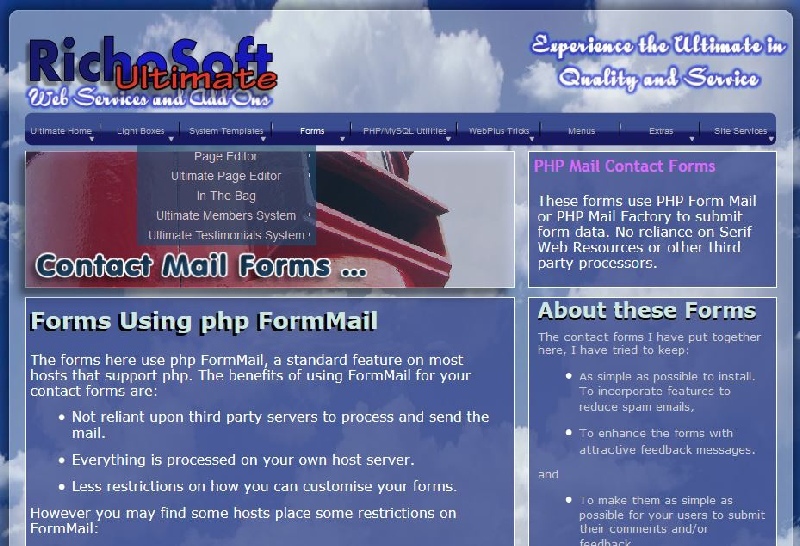 more More Contact Forms coming soon..
4 forms for X6 (2 SWR and 2 PHP). 4 forms for X7 (2 SWR and 2 PHP). Back up support files of all files embedded in the WPP’s. Set up takes less than 5 minutes. Bug fixes for SWR submission in X7. Forms no longer work but PHP versions do!